Christmas is a great time to spend time with the people we love. After a big year that has included the launch of our not-for-profit charitable Foundation, We Ride Australia, Christmas is also a time for us to take a deep breath, look at the year in review and think about the ‘where to from here’. It is also a year in which we have challenged the ongoing lack of political leadership demonstrated by the lack of investment in bicycle infrastructure, the lack of improvement in road safety as seen in the Review of the National Road Safety Strategy and little change to provision of routes that allow our children to walk or ride to school easily. We are committed to the continuing pursuit of these objectives for the coming year. To affect real change, the ability of bicycle organisations to present a unified position on key issues is vital to be able to impact a political system that has had little reason to date to think about people who might ride a bike if there were greater access to safe and separated routes and it was more convenient to do so. 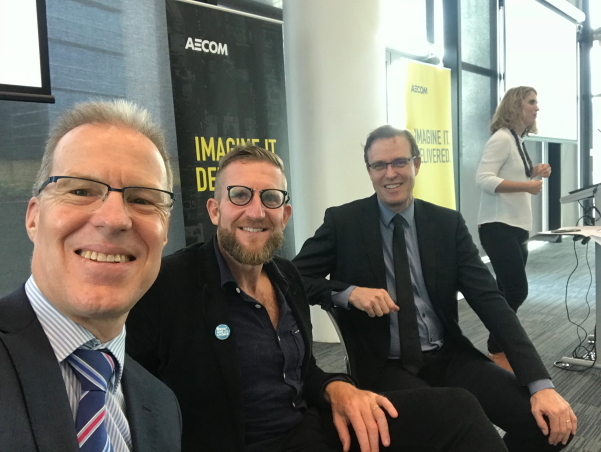 The Australian Bicycle Summit has been bringing the entire sector together for the last four years and we will continue our efforts for Australian cycling organisations to work together. This is vital when the membership of all organisations together still only represents less than 2.5% of Australians who ride a bicycle regularly. We are also proud of our significant track record in national advocacy – some highlights of which you can see later in this newsletter. Not only does this occur in our positions on the Ministerial Cities Reference Group and peak body reference groups, but also our partnerships like the Parliamentary Friends of Better Cities. Much is unseen work as trusted advocates providing input and information to internal party platforms and efforts across the political spectrum. With the recent Victorian election run and won without any significant commitment to investment for cycling prior to around 2025, another election in March for NSW and a federal election most likely on 11th or 18th May, the work we do now is critical and vital in setting the scene for what comes next. Over the next couple of weeks we will be enjoying some time with family and friends for Christmas, but we are also working on next year and thinking about the ‘where to from here’. We have an amazing group of Benefactors and Members supporting the Foundation that has grown significantly over our first year of the new structure thanks to Development Director, Phil’s great efforts. Our independent Board has played a major role as we have developed a significant suite of new processes and strategic plans to take the organisation forward. We take this opportunity to thank our Directors Amanda Stevens, Matt Bazzano and Adrian Smith, led ably by Chair Neelesh Mehta. Peter Bourke keeps the Foundation running and Stephen Hodge manages the national advocacy side. We all believe that Australia will be a much better place when the choice to ride a bike is easier, safer and more convenient, whether you are 8 or 80. We look forward to working with you all into 2019 as we strive to make that happen. Merry Christmas from the team at We Ride Australia. 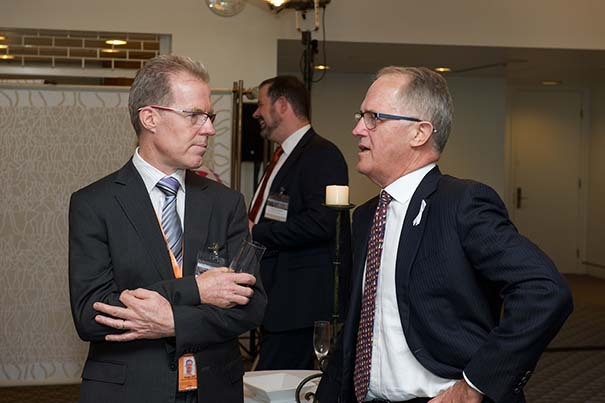 Above: Malcolm Turnbull is sadly just one of the Prime Ministers who’s government we have dealt with in recent years, here with Stephen Hodge at a Parliamentary function some time ago. The Australian Bicycle Summit was first established by We Ride Australia in 2015 and invites every Australian bicycle organisation to come together to discuss current issues and new ways of working together. 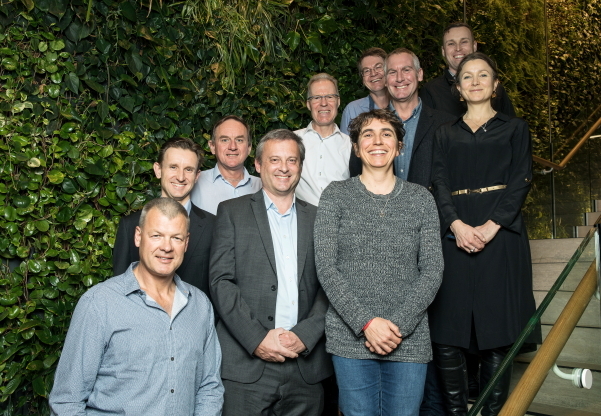 The latest Summit was hosted by Transport for NSW and Lendlease hosted us in their Barangaroo global headquarters for our meetings and Cycling Luminaries Awards Dinner. See more here. 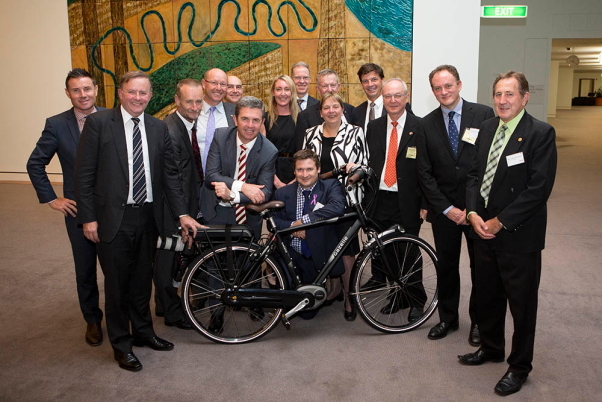 Above: Past Australian Bicycle Summits have been held in Parliament House Canberra, Brisbane and Sydney. 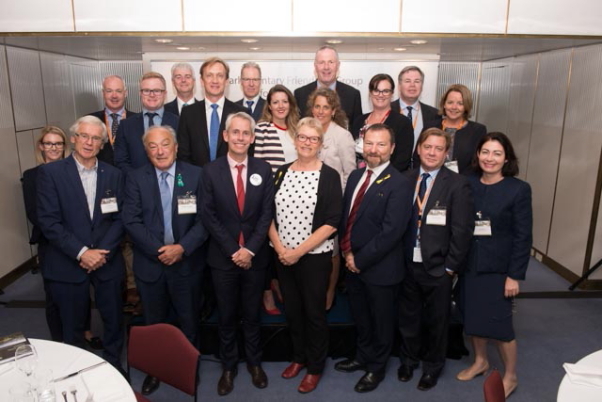 Above photo features Shadow Minister for Infrastructure and Cities Anthony Albanese MP, Dr David Gillespie MP, the Ambassadors for Denmark and the Netherlands and Minister for Energy Angus Taylor (then Asst Minister for Cities) with other MPs. The Summit moves to Melbourne in 2019 and will be held from 14-15 May at a CBD location. We Ride Australia works with jurisdictions across Australia to provide evidence and data on the benefits of investment in cycling and active transport. In June we worked with the WA Dept of Transport and the RAC to organise a Leaders Forum and spoke at another transport planning panel session. Above: Paul Steely-White, Director of Transportation Alternatives in NYC – middle with Stephen Hodge, We Ride Australia left and Craig Wooldridge, WA Dept of Transport on the right – were guest presenters in June at a West Australian Leaders Forum jointly organised by us with the WA Department of Transport and the RAC; and at a planning workshop organised by AECOM. We Ride Australia was one of a small number of invited participants in a cycling roundtable in October hosted by Greens MPs Jamie Parker and Jenny Leong. Together with local advocacy groups, Bicycle NSW and the City of Sydney, the forum looked at ideas and an action plan to improve cycling in the State. Above: Cycling Roundtable participants in NSW Parliament. Cycling and Walking Australia and New Zealand (CWANZ) was launched in early 2018 and is Australia and New Zealand’s expert council providing advice on issues relating to walking and bike riding on transport and recreation networks. Council members include senior and executive level leaders from all Australian state and territory transport agencies, New Zealand Transport Agency, local government representatives and leading advocacy groups for walking, cycling, health and mobility. Playing a major role in both its predecessor, the Australian Bicycle Council, and development of the new structure for CWANZ, We Ride Australia is ensuring this key national Council can contribute to making Australia a better place to ride a bicycle. Above: CWANZ members include transport department reps, advocacy groups and local government reps from across Australia and New Zealand. The first meeting in May. Above: with CWANZ Chair Craig Wooldridge and the Heart Foundation’s Imelda Lynch. We Ride Australia is one of the founding peak groups supporting the Parliamentary Friendship Group for Better Cities which convenes up to four events each year to hear from national and international Cities experts. There are 15 national organisations who support the group and we’re represented by our Director – National Advocacy and up to four We Ride members at each event. Above: The Better Cities group heard from Prof John Stanley at the March meeting in Parliament. Here with Co-Convenors Andrew Giles MP and Senator Janet Rice with MPs Dr Mike Freelander and Terri Butler alongside our peak group representatives. 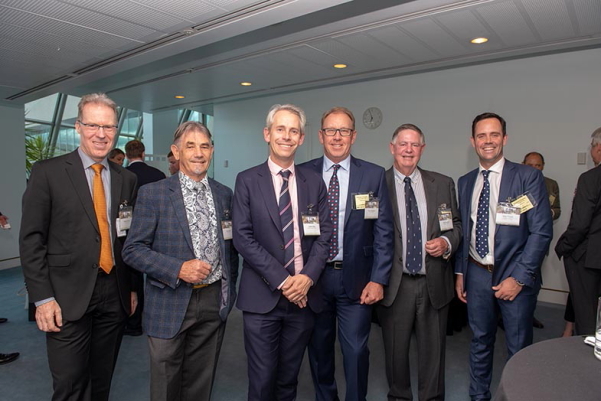 Above: L-R We Ride’s Stephen Hodge with our members at the November Better Cities presentation in Parliament House; Peter Keast – Brompton Australia, Andrew Giles MP – Convenor Better Cities group, Dave Steadman – Steadyrack, David Matthews – Leda Security, Director of Aust Institute of Landscape Architects. We Ride Australia is committed to building a more sustainable approach to making it easier for children everywhere to walk, scoot and ride to school. 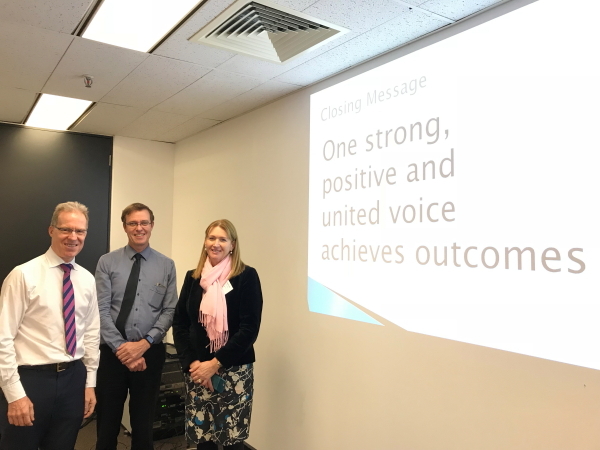 In partnership with the Sunshine Coast Council and Health Research Institute at the University of Canberra we are building a trial for a national approach that can provide the robust business case needed to secure much broader support than has previously been possible. Bringing together the best of bicycle education and school community engagement with latest generation mapping techniques and smart tech it will provide corporates and governments with more reasons to say yes to the investment allowing our children the opportunity to be active, happy and healthy. 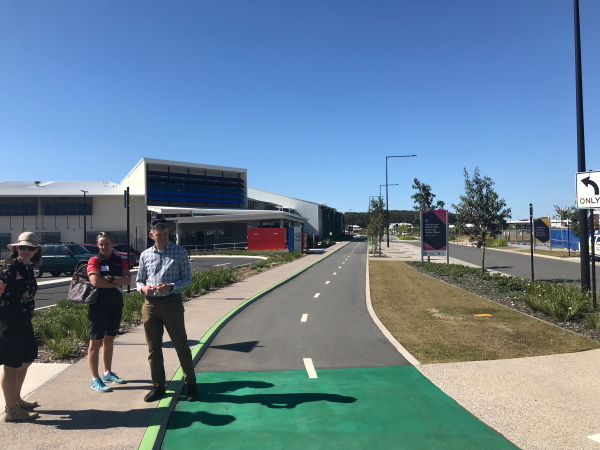 Above: we visited a terrific new school on the Sunshine Coast at Aura with the Heart Foundation’s Sheree Hughes, Council’s Travelsmart Officer Colleen Penny and Senior Transport Planner, Peter Duffy. It will be one of our trial sites. City of Moreland’s Mayor says no to a car – yes to an e-bike! 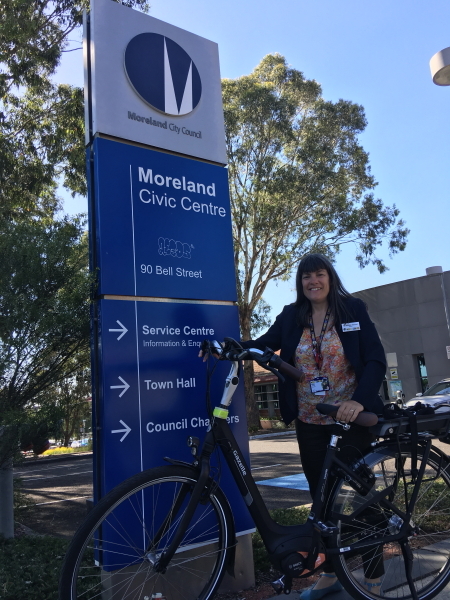 We Ride Australia was very pleased to meet new Mayor of the City of Moreland this week and hear how she chose an e-bike over a car for her Mayoral duties. Cr Natalie Abboud proudly rides to Chambers each day after dropping off her three boisterous boys to school on the way! Like many other major city local governments, the City of Moreland is grappling with traffic congestion and safety and liveability issues in its community. We Ride Australia loves the fact that Mayor Abboud is deeply concerned to address those issues effectively and is getting around easily, simply and without fuss on her e-bike. Well done Councillor! Above: Mayor Natalie Abboud with her e-bike that she chose instead of the traditional Mayoral motor vehicle. We Ride Australia continues to represent bicycle interests nationally on a range of state, territory and federal Ministerial advisory Councils. We are a member of the Minister for Cities, Urban Infrastructure and Population’s Cities Reference Group. The Hon Alan Tudge recently renewed the invitation after the latest Ministerial re-shuffle under new Prime Minister Scott Morrison when he assumed the role from Hon Angus Taylor. The next meeting is scheduled for early 2019. We sit on the Queensland Cycling Advisory Group, following an invitation from the Minister for Roads, Road Safety and Ports, Hon Mark Bailey. We also facilitated the 2017 Strategic Planning Forum with all Queensland stakeholders for the new Queensland Cycling Strategy 2017–2027. The last meeting for 2018 will be held on the 13th December. We Ride Australia is also a member of the ACT Government’s Active Travel Advisory Group, which brings together cycling, walking and health advocacy groups as well as the transport, health and planning portfolios. The last meeting will be held on 12th December. 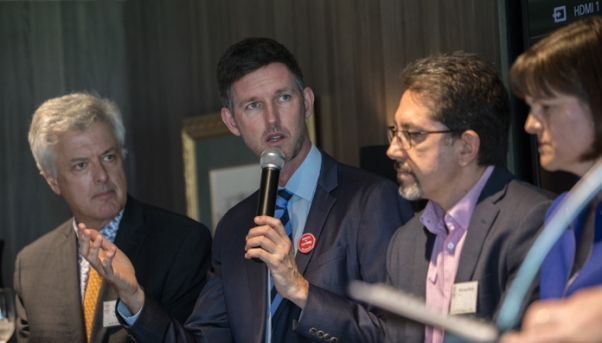 Above: QLD Minister Mark Bailey speaks during the 2017 Australian Bicycle Summit held in Brisbane, L-R Tim Blumenthal, President of People for Bikes USA, Minister, Michael Roth RACQ, Dr Kristi Heesch, QUT. NSW State Election is on Saturday, 23 March 2019. Visit the state Electoral Commission site for more info here. The next federal election is expected to be held on either 11th or 18th May, 2019. SAVE THE DATE! On Wednesday 16th January join us at the Tour DownUnder for a relaxed industry get together and drinks function in Adelaide – Publishers Hotel, 110 Franklin Street, Adelaide. Please note, the date has changed! We originally advertised it as the 17th, but have had to change due to venue availability reasons. SAVE THE DATE! 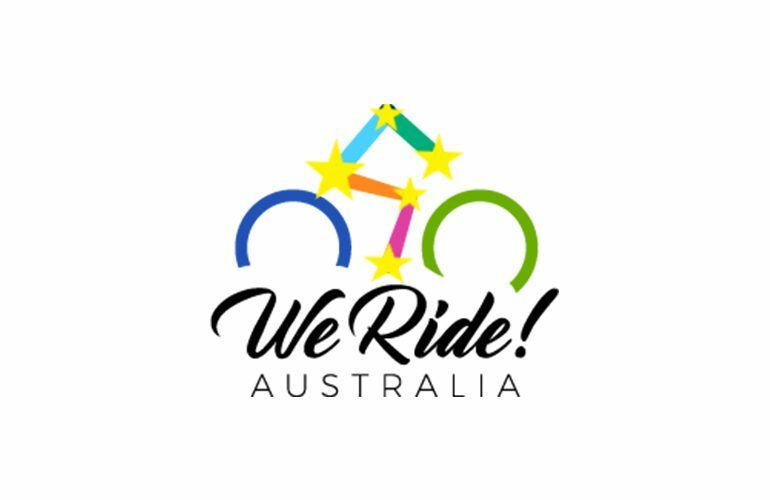 The We Ride Australia AGM (Annual General Meeting of the Australian Cycling Promotion Foundation Limited ACN 618 071 855) will be held on Thursday, 17th January at 11am. It will be held at 110 Franklin Street, Adelaide and all members and those interested in our work are welcome to attend. SAVE THE DATES! The 2019 Australian Bicycle Summit will be held in Melbourne for the first time on 14th and 15th May. Kicking off with an informal, fun get together in the CBD, a full day’s expert conference with specialist break-out sessions and then culminating in a gala Cycling Luminaries Awards Dinner, this is an event not to be missed. We will provide updates on program, venue, speakers and registrations in this e-news and on our website as they are confirmed. SAVE THE DATE! Join us in Canberra on the 10th July 2019 for the biggest ever Pushys Gala Fundraising dinner event. It will be a big night for bike buffs and cycling friends. Hosted and organised by Pushys at their mega store in Fyshwick, the Pushys fundraisers are already a major fixture on the national cycling scene. Stay tuned for online auction and ticketing details. 2019 Expert Study Tour will take our delegates to leading cities in North America for the first time after several successful visits to the Netherlands. The program will include Vancouver, Portland and San Francisco where we will visit Google’s autonomous vehicle company, Waymo, and Uber headquarters to discuss ‘Mobility as a Service’ (MAAS). Dates to be confirmed, but expect a late September Study Tour.